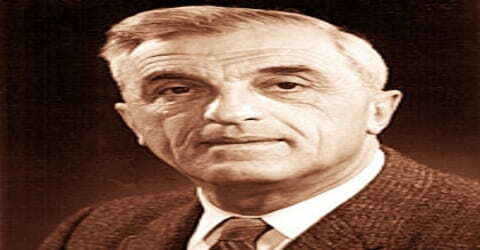 Felix Bloch – Swiss-American physicist. 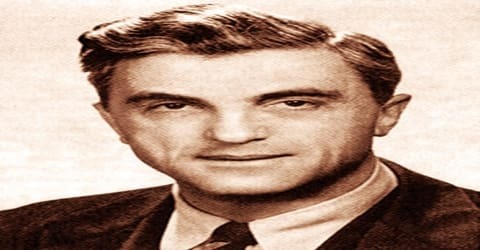 A Swiss-born American physicist who shared (with E.M. Purcell) the Nobel Prize for Physics in 1952 for developing the nuclear magnetic resonance method of measuring the magnetic field of atomic nuclei, Felix Bloch was born on 23 October 1905 in Zürich, Switzerland to Jewish parents Gustav and Agnes Bloch. Bloch is considered one of the founders of solid-state physics. He made particularly significant contributions to the quantum theory of metals and solids, he worked on the magnetic scattering of neutrons and, together with Luis Alvarez, he experimentally measured the magnetic moment of the neutron. His discovery of nuclear magnetic resonance won him the Nobel Prize in Physics for 1952, which he shared with Edward Mills Purcell. After passing secondary school, Bloch studied under the guidance of several imminent scientists of his time. He became an accomplished physicist who witnessed the emergence of modern quantum theory and explored its application on the conductivity of metals and ferromagnetism. All through his academic and research career, he contributed immensely to solid-state physics; several theorems and laws have been named after him. He is remembered for the development of nuclear magnetic resonance techniques, which allowed highly precise measurements of magnetism of atomic nuclei. It went on to become an influential tool in both physics and chemistry, to analyze large molecules. Apart from Physics, he was interested in music, nature, literature, mountain climbing, and skiing. He had a great wit and was full of ironic humor. Gifted with an analytical bent of mind, he liked to get to the bottom of any problem and find a solution. 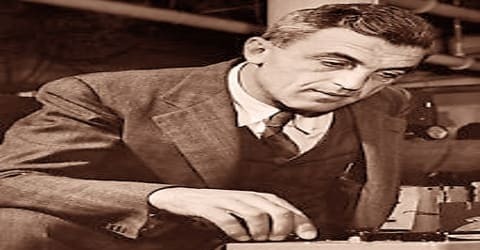 A Swiss-born American physicist, Felix Bloch was born on October 23, 1905, in Zurich, Switzerland to Jewish parents Gustav Bloch, a wholesale grain dealer, and Agnes Bloch. Both parents were Jews. His father moved to Zürich in 1890 to take a position in his uncle’s business and became a Swiss citizen. Bloch had an elder sister who died at the age of twelve. At the age of six, he joined a public primary school. However, with no encouragement from his teachers, he found it a very difficult place. He also took music lessons and was able to play the piano at the age of eight. Bloch was educated at the Cantonal Gymnasium in Zürich and at the Eidgenössische Technische Hochschule (ETHZ), also in Zürich. Initially studying engineering he soon changed to physics. During this time he attended lectures and seminars given by Peter Debye and Hermann Weyl at ETH Zürich and Erwin Schrödinger at the neighboring University of Zürich. A fellow student in these seminars was John von Neumann. Bloch graduated in 1927 and was encouraged by Debye to go to Leipzig to study with Werner Heisenberg. Bloch became Heisenberg’s first graduate student and gained his doctorate in 1928. His doctoral thesis established the quantum theory of solids, using Bloch waves to describe electrons in periodic lattices. 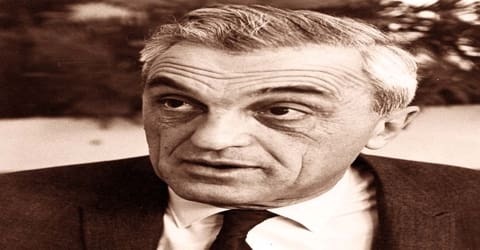 On March 14, 1940, Felix Bloch married Lore Clara Misch (1911-1996), a fellow physicist working on X-ray crystallography, whom he had met at an American Physical Society meeting. They had four children, twins George Jacob Bloch and Daniel Arthur Bloch (born January 15, 1941), son Frank Samuel Bloch (born January 16, 1945), and daughter Ruth Hedy Bloch Alexander (born September 15, 1949). Bloch was a witty man and admired truthfulness, wisdom, innovation, and compassion. A man of strong principles and opinions, he disliked arrogance. He had an honest appreciation of the contributions he made. Although he was a friendly person, he would sometimes prefer isolation. He would take long walks alone when thinking about a difficult problem. At home, he possessed very few physics books and journals. He liked to add a very personal perspective to his work. Felix Bloch developed an interest in theoretical physics. In 1927, he studied with Werner Heisenberg at the University of Leipzig and received his doctorate degree the next year. He wrote his thesis on ‘The Quantum Mechanics of Electrons in Crystal Lattices’ and calculated the specific heat and electrical resistance of metals in his paper. Bloch became Heisenberg’s first graduate student and gained his doctorate in 1928. Bloch’s doctoral dissertation (University of Leipzig, 1928) promulgated a quantum theory of solids that provided the basis for understanding electrical conduction. Bloch taught at the University of Leipzig until 1933; when Adolf Hitler came to power he emigrated to the United States and was naturalized in 1939. After joining the faculty of Stanford University, Palo Alto, Calif., in 1934, he proposed a method for splitting a beam of neutrons into two components that corresponded to the two possible orientations of a neutron in a magnetic field. In 1939, using this method, he and Luis Alvarez (winner of the Nobel Prize for Physics in 1968) measured the magnetic moment of the neutron (a property of its magnetic field). Bloch worked on atomic energy at Los Alamos, N.M., and radar countermeasures at Harvard University during World War II. In 1932, Felix Bloch returned to Leipzig to assume a position as “Privatdozent” (lecturer). In 1933, immediately after Hitler came to power, he left Germany because he was Jewish, returning to Zürich, before traveling to Paris to lecture at the Institut Henri Poincaré. In 1934, the chairman of Stanford Physics invited Bloch to join the faculty. Bloch accepted the offer and emigrated to the United States. In the summer of 1935, Bloch combined a trip he took to Switzerland with a trip to Copenhagen. Bohr thought that Bloch’s experience with problems of ferromagnetism would be useful for thinking about the physics of the newly discovered neutron. Since the magnetic moment of neutron had already been discovered, Bloch started considering the possibilities of polarized neutrons in ferromagnetic materials. In a letter to the Physical Review Bloch submitted in 1936, he outlined his theory of magnetic scattering of neutrons. It was also shown that the scattering could lead to a beam of polarized neutrons and how temperature variations of the ferromagnet could be used to separate the atomic scattering from the nuclear scattering. In the fall of 1938, Bloch began working with the 37-inch cyclotron at the University of California at Berkeley to determine the magnetic moment of the neutron. Bloch went on to become the first professor for theoretical physics at Stanford. In 1939, he became a naturalized citizen of the United States. During World War II, Bloch worked on nuclear power at Los Alamos National Laboratory and later joined the radar project at Harvard University. After the war, he focused on nuclear induction and nuclear magnetic resonance, which became the fundamental principles of MRI. Bloch returned to Stanford in 1945 to develop, with physicists W.W. Hansen and M.E. 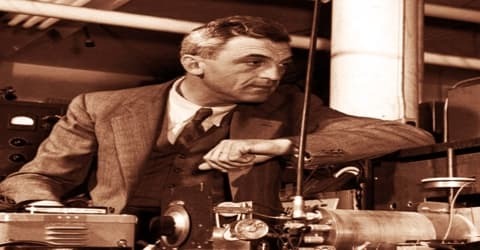 Packard, the principle of nuclear magnetic resonance, which helped establish the relationship between nuclear magnetic fields and the crystalline and magnetic properties of various materials. It later became useful in determining the composition and structure of molecules. Nuclear magnetic resonance techniques have become increasingly important in diagnostic medicine. In 1946, Bloch proposed the ‘Bloch Equations’ which determined the time evolution of nuclear magnetization. Bloch and Purcell shared the Nobel Prize in Physics in 1952 for the development of new methods for the exact measurement of nuclear magnetism and for the discoveries made in the development of these methods. This was Stanford’s first Nobel Prize. In 1954, Bloch became CERN’s first Director-General. However, not much interested in administrative work, he left the organization after a year. Nevertheless, he left back a huge and positive influence. He returned to Stanford University, where in 1961 he was made Max Stein Professor of Physics. In 1965, Bloch became President of the American Physical Society and attempted to develop a simplified physical theory of superconductivity. Bloch was also a member of the National Academy of Sciences, the American Academy of Arts and Sciences, the American Philosophical Society, and the German honor society known as Pour le Mérite. He was appointed an honorary member of the Swiss Physical Society and received honorary degrees from Grenoble University, Oxford University, the University of Jerusalem, and the University of Zürich. He was, also, a member of the American Professors for Peace in the Middle East, the Committee for U.N. Integrity, the Committee of Concerned Scientists, the Universities’ National Anti-war Fund, and Scientists and Engineers for Secure Energy. Following his retirement, Bloch began writing a book on statistical mechanics. However, he couldn’t complete it before his death. His notes were later organized by J. D. Walecka and published with the title ‘Fundamentals of Statistical Mechanics’. Bloch was a member of the National Academy of Sciences, the American Academy of Arts and Sciences, the American Philosophical Society, and the immensely prestigious German Honour Society called Pour le Merite. 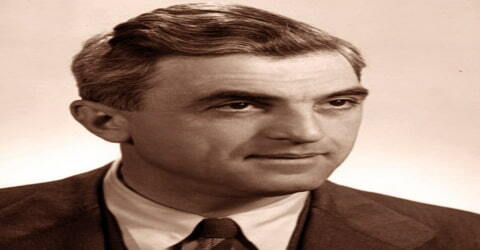 Felix Bloch died of a heart attack on September 10, 1983, at the age of 77, in Zurich, Switzerland. Bloch was the first director general of the European Organization for Nuclear Research (1954-55; CERN). Along with E.M. Purcell, Bloch developed the nuclear magnetic resonance method of measuring the magnetic field of atomic nuclei. His doctoral thesis on ‘The Quantum Mechanics of Electrons in Crystal Lattices’ calculated the specific heat and electrical resistance of metals. This paper provided the foundation for the theory of condensed matter. The waves discovered was named ‘Bloch Waves’ or ‘Bloch States’ and is still applicable in the theory of condensed matter. Apart from calculating exact values of the magnetic moment of the neutron, proton, and deuteron, he and his colleagues made an accurate determination of the magnetic moment and spin of the Triton.